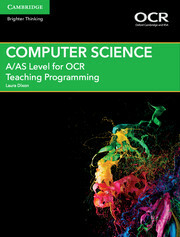 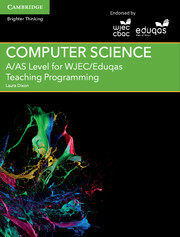 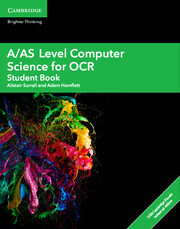 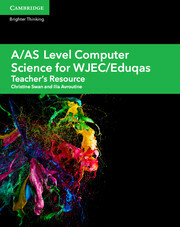 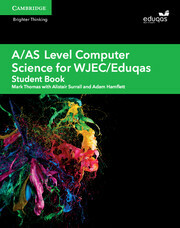 Specifically developed for Component 1 of the WJEC/Eduqas A/AS Level Computer Science specifications for first teaching from 2015, this enhanced digital resource is suitable for all abilities. 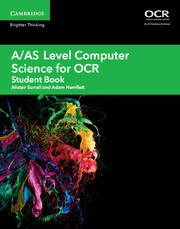 With rich digital content including animated tutorials, slideshows and images, this resource puts computing into context, giving students a real-life view on professional applications of computing skills. Supporting classroom and independent learning, this customisable resource allows teachers to add annotations and the Assess to Progress tool enables tracking and reporting on students’ progress. Accessible online and on tablet devices through the Cambridge Elevate app (iOS 7.1 and higher and Android 4.1 and higher). 9. 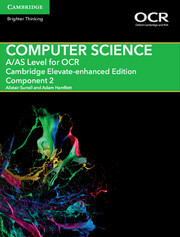 Economic, moral, legal, ethical and cultural issues relating to computer science.